"My Dance Mom" is a new regular feature that will alternate with spotlight interviews on weekends. 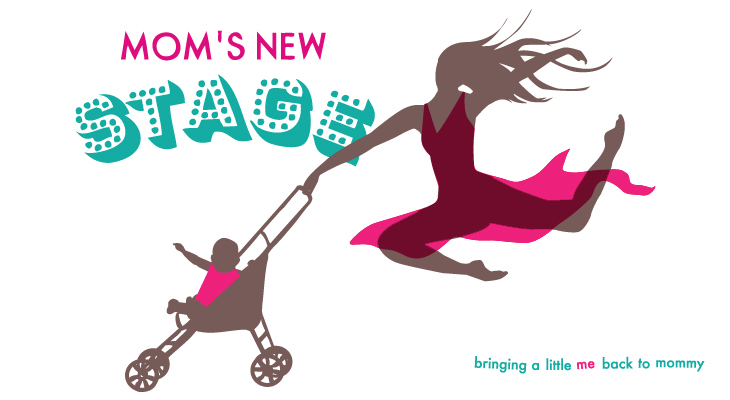 Instead of railing against the travesty that is Dance Moms on Lifetime, Mom's New Stage will showcase dancers discussing the role their mothers played in their training and career. MNS is so proud to premiere this series with beautiful human and gorgeous dancer, Jenna Pollack, currently a senior at The Juilliard School. Transitioning to college is difficult- or at least trying- for everyone, dancer or not. But I had a terrible fall at the end of my first semester in San Francisco that had me on crutches for my ankle for two months. Pursuing a BFA in Dance Performance, this was especially devastating. My mother not only supported me through every horrifying hospital bill, physical therapy breakthrough and Ben & Jerry's pint of the way, but helped me move beyond it. When I came home for the winter holidays my family quietly sneered at my one-legged plans for auditioning for NYC dance programs. Why return to California? And then fly to New York for auditions? Why not just stay home, in Chicago? But my mother came to my defense. She saw my drive for self-sufficiency, away from home. She knew I wanted I had a life out west to tidy up. She knew I wanted to take a writing course in Berkeley. She knew I would be responsible enough for my own rehabilitation in time for auditions. And I stuck to my guns because she stuck to hers. The faith she put in me perpetuated the positive and regenerating energy I needed to get my life and body back on track. She had so much faith in me that just days after being completely off crutches I walked confidently off an airplane into studios with numbers safety-pinned to my chest and a self-choreographed homolateral solo. I got into the school of my dreams, which was particularly ironic as I had been rejected a year prior in the best shape of my life. This spring, I look forward to graduating from The Juilliard School, anticipating a healthy and satisfying career ahead of me. Without her encouragement- in phone conversations, texts, emails, care packages, poodle postcards, holiday socks, undying love and faith -- I undoubtedly would not be walking the stage come May. Or perhaps I would be, but with a degree in something that wasn't in the same league of lifelong passions. A path guided by the rest of my family and peers' guilt, society's expectations, and my own self doubt, perhaps. And while I very well may have been happy, I would have always regretted not giving dance my all. My mother's support has been instrumental in the dancer and human I am today. I can only hope all mothers have as much faith in their children's broken dreams as mine did. They can always be taped together in one way or another, and I've found that repaired dreams are often more fulfilling than the unblemished ones. A native of Evanston, Illinois, Jenna has trained internationally and performed professionally with Momentum Sensorium, Black Box Dance, and Patchwork City Dance. 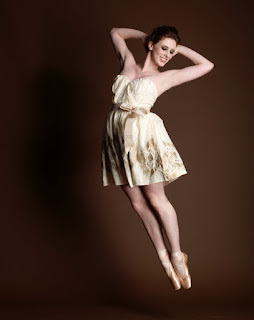 Most recently she performed at New York's City Center as apart of the Fall for Dance Festival, and in March 2012 she will be collaborating with collaborating with The Center for Innovation in the Arts at Juilliard and the NY Museum of Art and Design in an interdisciplinarty production combining dance with technology. She is currently in her final year as an at The Juilliard School in pursuit of her BFA under the direction of Lawrence Rhodes, and has performed works by Ohad Naharin, Pam Tanowitz, Mark Morris, José Limón, Raewyn Hill and Andrea Miller. Prior to beginning at Juilliard she studied at Alonzo King’s LINES Ballet Program in conjunction with Dominican University, U.C. Berkeley and O.D.C. San Francisco. In addition to performing, Jenna is immersed in her second year as an Arts Enrichment Fellow through which she teaches dance at The Children's Storefront in Harlem, and a GLUCK fellow where she cnoducts interactive performances around NYC healthcare facilities with an interdisciplinary group of musicians and actors. For three years Jenna served as the co-director and and treasurer of the Arusha Arts Initiative (arushaartsinitiative.org), organizing and traveling to Tanzania and Kenya, East Africa to facilitate the empowerment of disadvantaged youth through the performing arts. For two years she also worked as an Assistant Residence Coordinator in the Juilliard Residence Hall where she oversaw programming, student life and general operations.